McFarlane Toys and HBO Global Licensing are teaming up to create a new line of Game of Thrones constructions sets. This will be similar to the previously released The Walking Dead construction sets from McFarlane Toys. McFarlane Toys will add an artistic layer to each Game of Thrones brick piece, turning ordinary construction sets into realistic models of notable locations seen on the show. 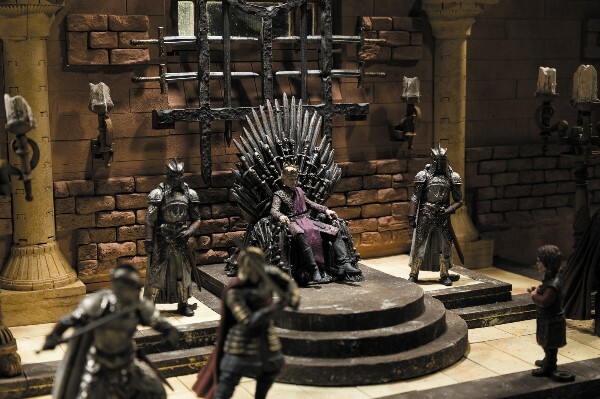 The new Game of Thrones construction sets extend McFarlane’s high standards of artistic vision, realistic accuracy, and incredible detail the company is known for throughout the industry. “We’re thrilled to have the opportunity to create high-quality collectible construction sets based on this fan-favorite property. Both collectors and fans of this epic series can build their favorite scenes with this new product line,” McFarlane added. Launching this Fall, the Game of Thrones construction line will feature construction sets, expansion packs, and figure blind bags, ranging in price from $3.99 to $49.99. Check out below for the breakdown of the sets!